This week's AIPAS theme is pink. AIPAS is the The Australian Indie Polish Appreciation Society. If you love Aussie Indie polish then you should check them out on Facebook here, there's a blog here, Instagram @aussieindies and #AIPAS. So here's my pink polish for AIPAS pink week and Aussie Indie Month, Ozember. Loki's Lacquer Whoop! Whoop! Whoop! from the Space Pilot 3000 collection, based on Futurama. 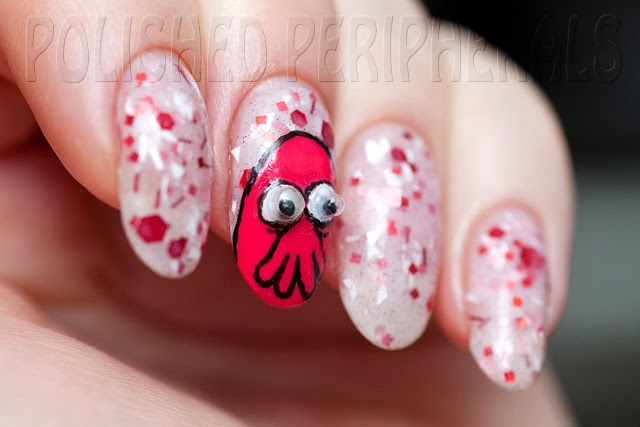 This one's inspired by Dr Zoidberg so I added some Zoidberg art with googly eyes. 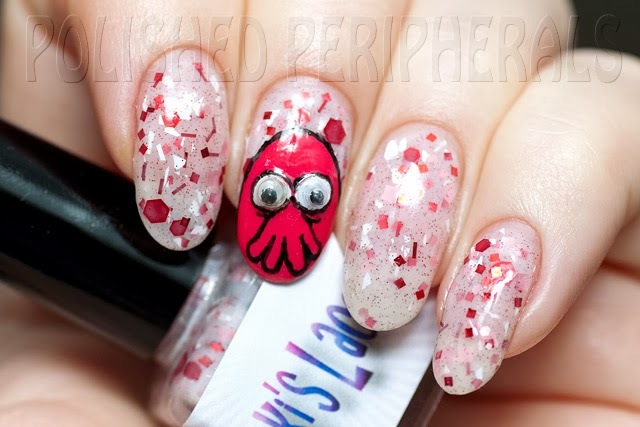 It's a white base with pink and red glitters so the overall effect is pink. Previously I've worn this over a white base polish but this time I wanted the pink of my nails (currently red stained) to show through a bit. This is 4 coats of Whoop and I much prefer it like this. Going without undies give it a more delicate, almost porcelain, translucent look, and the layers of glitter show through like a jelly sandwhich. 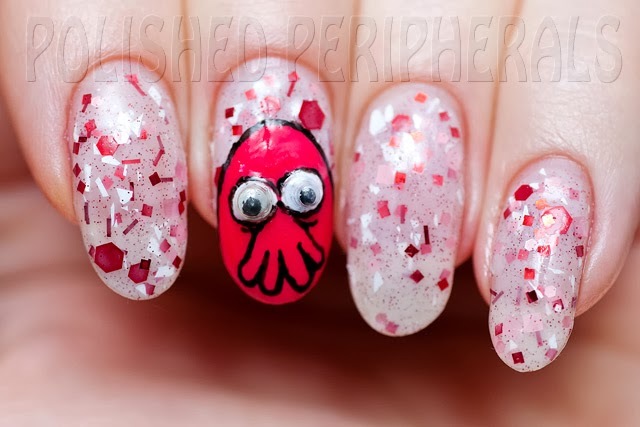 I wish I hadn't added the Zoidberg face though, it spoils the lovely soft look. 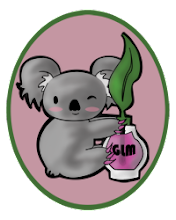 I don't think this one is available any more but there's a heap of other beautiful polishes available at Loki's Lacquer on Etsy. 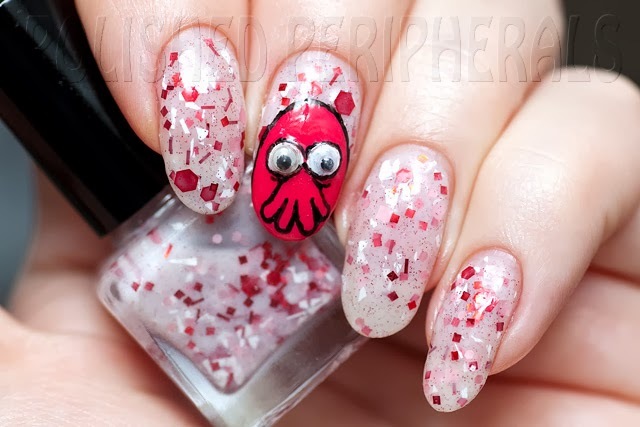 Tara is a real wizard when it comes to mixing pigment and glitter and she does custom polishes too. You can follow Loki's Lacquer on Facebook for news and updates.